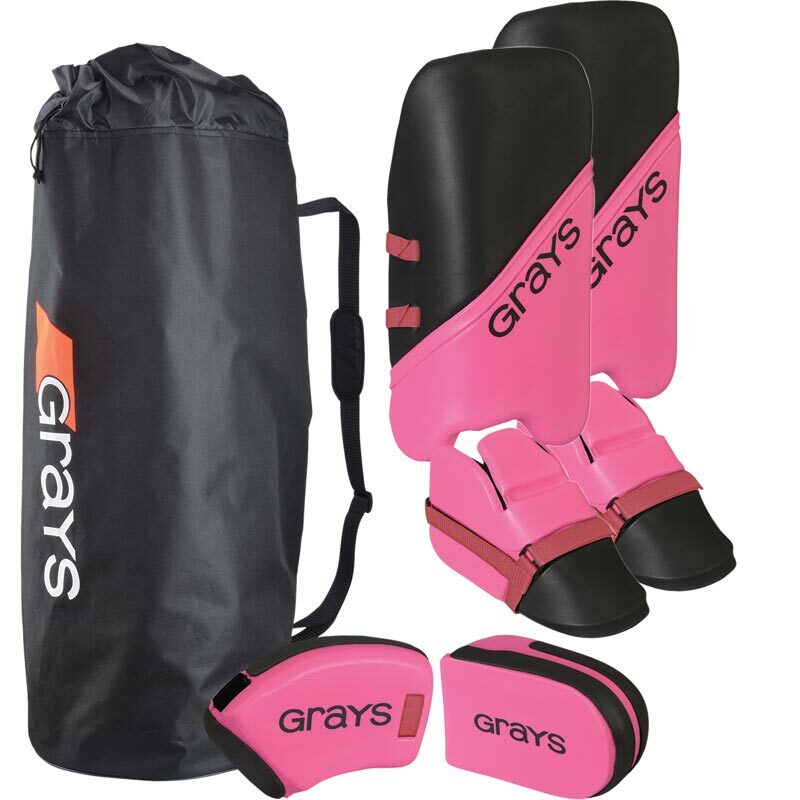 The Grays ® G100 Goalie Set is very vibrant and has been designed in conjunction with Grays goalies. 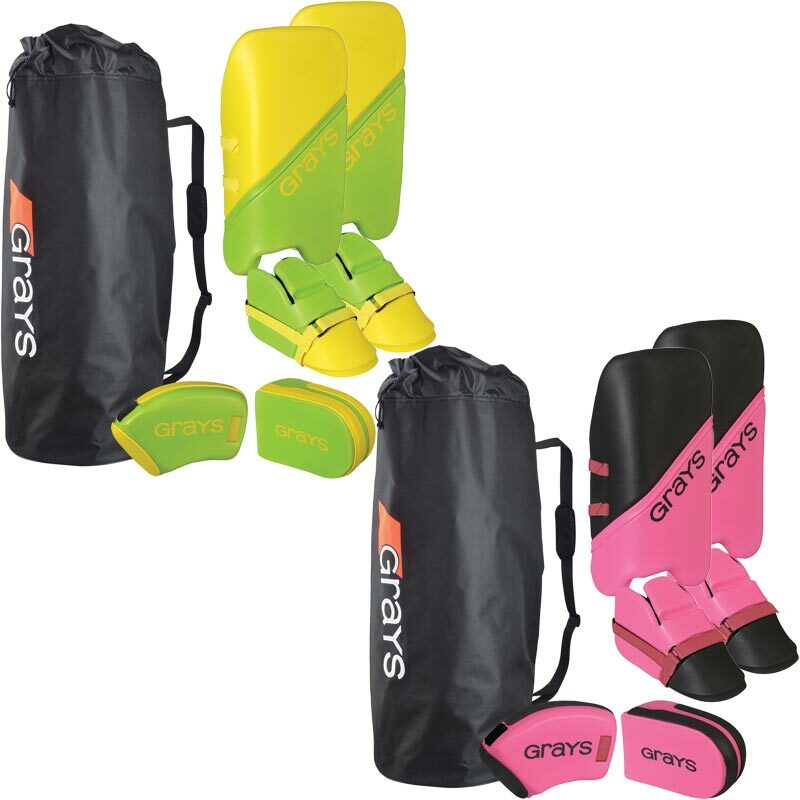 Dual Density foam gives a durable outers layer for sliding, and soft comfortable lining. New sculpted shape suitable for dynamic techniques of play. 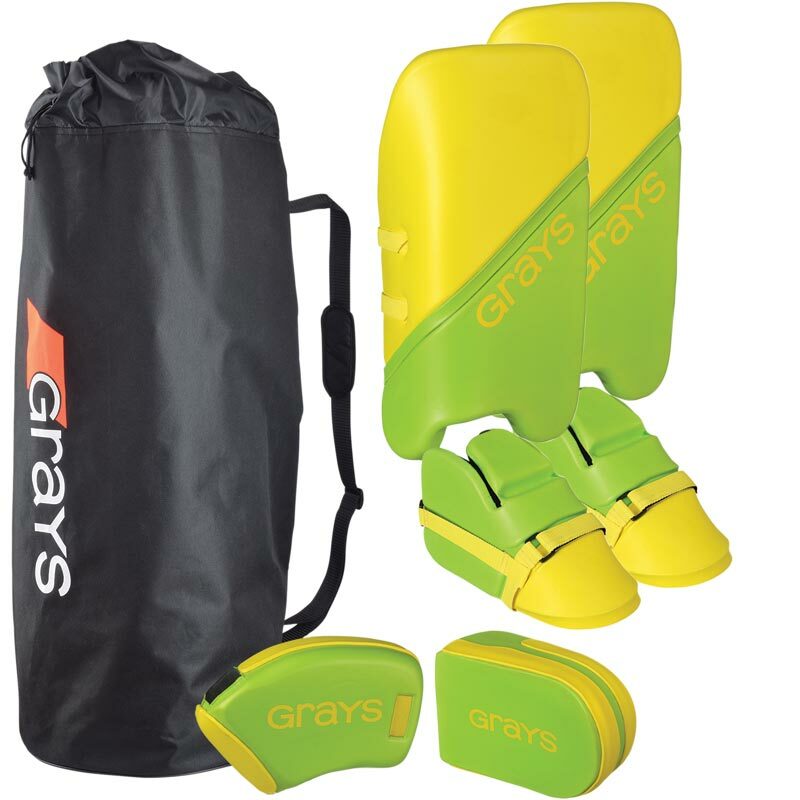 Set of kickers, legguards and hand protectors in a ventilated mesh duffle sack.